Looking to sell your 3, 5, 8 15 tonne digger or excavator? Do you have a 3, 5, 8, 15 tonne digger or excavator for sale? Are you looking to sell a 3, 5, 8 or 15 tonne digger or excavator? Do you want cash for the sale of your 3, 5, 8 or 15 tonne digger or excavator? Whether buying or selling, the size of a digger is important in relation to the purpose it’s for. Diggers come in various shapes and sizes, with special features relative to size, which enable them to do their specific job well. 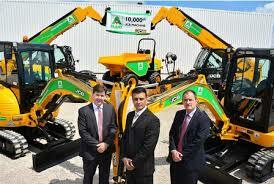 No matter whether a small micro digger or 15 tonne excavator, we will purchase your machinery for cash. Here are the main types of diggers we buy, outlined by their size. As the name suggests, mini or micro diggers are the smallest type of digger we will purchase. These can usually easily fit through doorways and tight spaces, making it ideal for internal construction work or garden work. Due to the size, the operating weight of these machines is pretty small, at around a few hundred kilos. If you have micro diggers for sale, please contact us. In terms of size, long reach diggers can offer up to 30 metres reach, making them much larger than micro diggers. As such they are able to take on more operational weight thanks to a larger sturdier base, and can operate up to 45 tonnes. 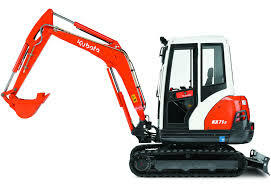 These diggers offer long reach and the ability to work in and on water, so often come in at around the same size or larger than the long reach diggers. Again these can reach over 30 metres, and can weigh up to a massive 155 tonnes, so certainly one for the bigger jobs! Bigger again, dragline excavators are used in civil engineering and mining settings so need to be able to cope with the large scale operations required of them. Weighing in at between 8,000 and 13,000 tonnes, this machinery is made of the likes of coal mines and sand oil mines. So if you looking to sell your 3, 5, 8 or 15 tonne digger or excavator or have a 3, 5, 8 or 15 tonne digger or excavator for sale, let us know and we’ll give you a cash quote. Give us a few details and we’ll do a few checks. You could have the cash in your account within 48 hours it’s that easy! Simply fill in the Request a Valuation form now and we’ll be straight in touch to value your digger or excavator!